We have all witnessed the shameful acts by the left, the grandstanding, willingness to destroy a man who has given a lifetime service to this nation, all for the sake of power, what was done to him and his family, the left could care less about. And the one in the middle of this, Ford, she was the worst villain, further, the ineptness of the GOP to question here was even more shameful yet, yet the charade had to be played out. 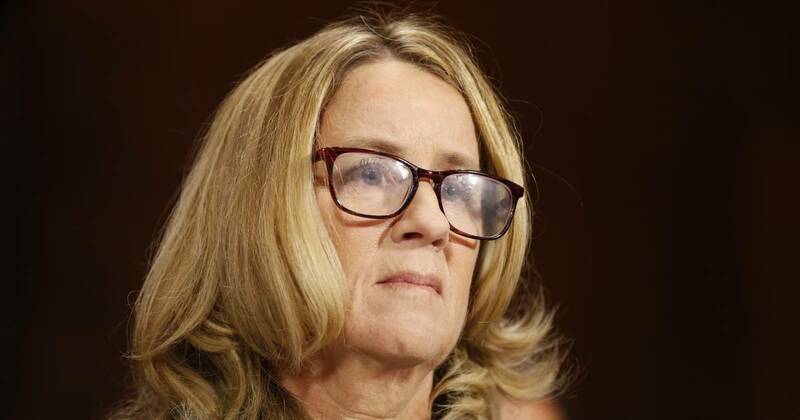 During the testimony yesterday, we were told that Ford could not fly, she stated it all stemmed from the assault when she was younger, but then under questioning we find out she flew to Washington, every year flies multiple times coast to coast, flew to Hawaii, to Islands in the Carrabian, in fact for someone who is terrified of flying she seems to be quite the jet-setter. Now I know this will get me in trouble, but I had come into this rather sympathetic towards here, but I also know psychology, studied it in school, one time that was the major I was going to get into, I can promise this, she knew enough of psychology to put the symptoms of PTSD out there, but when she came under questioning her symptoms did not match up. What is more, she was the one that made these claims, is an adult, to think you could not question her because you may hurt her fragile feelings, that is nonsense, she is the one that came forward with this claim. The reason she did not want exposure, she knew if she had, the questions would have exposed this whole charade. I find it even more amazing, she said she knew 100% it was Kavanaugh, the GOP brought in a specialist to question her, all she did was expose the lie over her fear of flying, never asked any hard questions, then treated her like a fragile flower. There is a reason “real” victims don’t like to testify in court, the right to cross-examine is never taken away, if you are going to accuse, you have no right to demand to not be examined by your accuser, yet this is what the Senate gave into. What we saw last night was how truly depraved and evil the left is, they have no concern over who’s life they destroy, this was all about power, nothing more, the fact that Christine Ford was willing to be part of this, should give us all pause. The charade was being exposed for all to see. Further, the foundation of this nation was protection by the law, not having to be protected from it. We have had a system since the day we were founded that we are given the doubt of guilt until it is proven, it is not our responsibility to prove we aren’t, it is the accusors responsibility, to demand that Kavanaugh be forced to give up his inherent American right, to appease this type of thing, is as unAmerican as you can get. The charade is over, the vote to get this to the Senate floor goes on today, any GOP Senator that votes against this should never see the inside of any government building again as an elected official, as for the Democrats, I hope they pay for this evil they are perpetrating at the polls. I, as a rule, will side with the victim every time, but I have seen what these false accusations do to a life in the past, this is one time I will not stand by and say this is fine, I personally think a complete investigation should be done, if this is found to be nothing but an act, a charade, then press charges on all that is involved. I leave this with what Lindsey Graham stated, what had been stated by him could not have been better stated by me, so I leave with his own statement. NextKavanaugh Nomination, Where Is Justice And Fairness?